Why Hire a Master Arborist? (1) Topping makes my trees small. Well, not exactly… In its fight to survive, a tree will grow back what it has lost (if it lives that long). (2) Topping makes my trees safe. Well, not exactly… While initially there’s less wood that can fall, if it grows back (and it will if it lives), you can depend upon branches (both dead and living) regularly falling; increasing your exposure to personal injury, property damage and lawsuits. (3) Topping makes my trees healthy. Well, not exactly… The initial flush of new growth is not a sign of vitality, but rather, a last ditch effort to stave off starvation. In the meantime, a weakened tree is susceptible to infection through its many new wounds. (4) Topping beautifies my trees. Well, not exactly… It may look like a glorified hedge for half the year, but wait until leaf fall reveals a huge, hideous hat rack. (5) Topping prolongs the life of my trees. 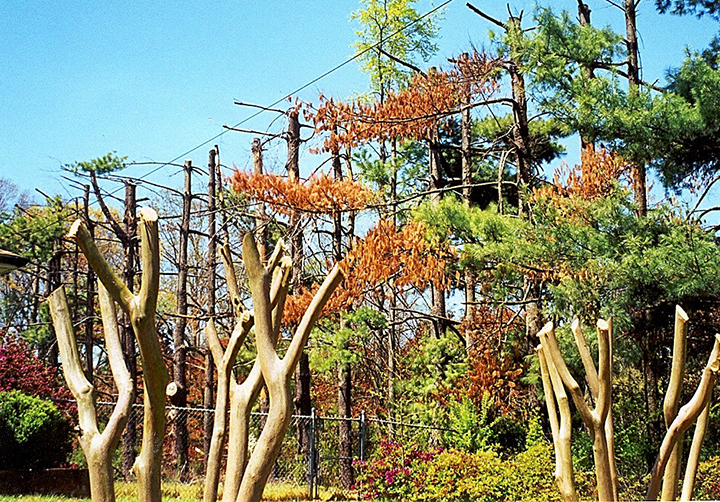 Well, not exactly… Topping may be the last pruning your tree will ever need. But unless you like dodging dead branches, you will also need to call a tree removal service. (7) Topping increases my property value. Well, not exactly… A well-maintained property can fetch a higher appraised value, but a topped tree is often hazardous, creating a negative value. Well, not exactly… Not for the homeowner, who receives increased (summer and winter) energy bills, or the tree service, that makes many return visits to re-mangle your tree. (9) Topping improves my view. Well, not exactly… A homeowner may get to see more of the mountains, but not before having to look past an eyesore of dead stubs and witch’s brooms (a disorganised mass of shoots resembling a bird’s nest). Well, not exactly… They may still top in your neck of the woods, but informed, responsible tree stewards have long abandoned the archaic practice of topping, and instead use crown reduction, vista pruning and pollarding to reduce crown mass. Before you call a tree removal service, let our impartial consulting arborists identify potential hazards and diseases, and recommend proven solutions. Our approach spares our clients needless worry and, often, thousands of dollars in removal and treatment costs. 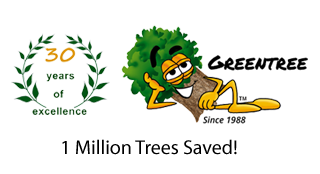 Are you a responsible tree care provider interested in receiving referrals from Greentree? © 2019 Greentree, Inc. | An Engenius website.